It’s four years since my last incredulous post on the alliance between researchers and Pfizer, a collusion formalized in business collaboration at Monash University in Jun ’17. This revisit begins with the TGA (equiv to US FDA) Product Info for health professionals on Lyrica/pregabalin as of Sept ’16. The first condition of painful Diabetic Neuropathy (PDN) lists 5 completed studies in Table 1, showing pain was halved for ~26% of those administered 150mg, and ~45% if on 600mg. This would encourage doctors to increase dosage up to the maximal 600mg daily (double that allowed in the US). The most frequently reported side-effects are weight gain, dizziness and sleepiness. The manufacturer has checked on driver safety, but research simply doesn’t encompass a thought that harms should be measured systematically: Prof Nadine Attal replied to my concern with “I agree… because the methods used to assess side effects are seldom standardized, particularly as regards cognitive effects of drugs“. This is an obvious pharmacovigilance problem, but another risk lurks. Pg13 of the TGA brochure informs doctors that less than 4% of trial participants suffered peripheral oedema (pictured). None of their advice is referenced, so let’s fact-check. Pfizer reported in ‘A Comprehensive Drug Safety Evaluation of Pregabalin in Peripheral Neuropathic Pain’ that they’d run 13 Randomised Controlled Trials of Lyrica for PDN up to May ’12. Somewhat surprising that the TGA only found 6, which also included independent investigations. Oedema was reported in 9% of neuropathy patients. The manufacturer paints a harms picture that’s doubly worse than the govt regulator does! One Pfizer trial continued for another year with volunteers, of whom 16% reported oedema (10% resolved inside 2 months). Oedema is associated with congestive heart failure, so it matters. And the worsened circulation is associated with non-healing ulcers in diabetics, and that can lead to amputation. Wondering what have you got to lose by starting with this drug – a foot, perhaps? Regardless of adverse events/side-effects, stopping the drug resolves that issue – but at the end of any study there’s limited data captured on withdrawal effects. Enriched Enrollment Randomised Withdrawal is a legitimate study design, whereby everyone is dosed and only responders continue into the trial. If it didn’t work for you, goodbye. This means that the group randomized to placebo go through withdrawals, and Pfizer ran this protocol thrice (twice including DPN). After an avg of 400mg daily for a month, then 150mg for one week tapering, pain was marginally worse in the placebo group after a month. 2.5% of the Lyrica group withdrew due to adverse events compared with 6.5% of the placebo arm, hinting at withdrawals suffering. The same protocol with backpain participants finished with both groups reporting the same level of pain, although the withdrawal arm experienced worsening sooner. The endpoint is in accord with the PRECISE study’s finding that Lyrica doesn’t work for backpain. A lengthier and larger study was run, but this time concomitant meds other than paracetamol were disallowed. 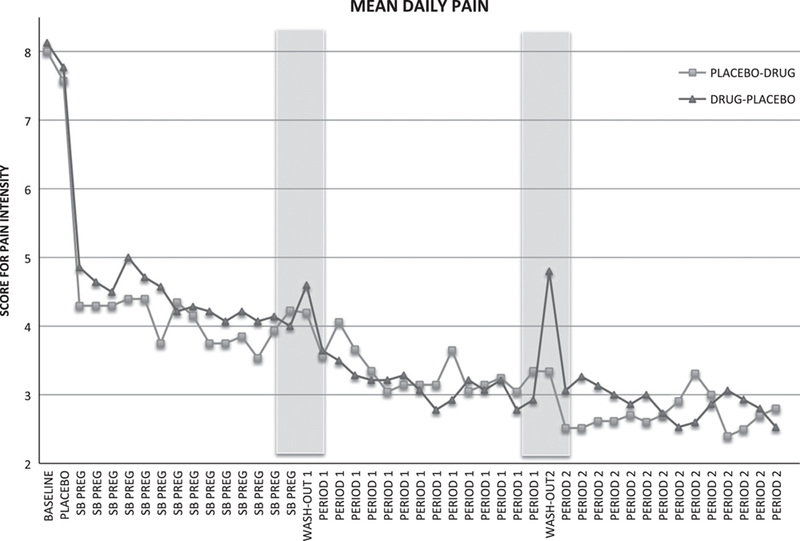 Previously patients had continued their own opioids or gabapentin (a Lyrica predecessor), but now the effect of withdrawal was pronounced – some 2 months of worsened pain. Interestingly this study team included Dr Cory Toth *, who’s had 9 papers retracted due to fabricated results. The team then ran a study without Toth, which showed no benefit whatsoever for Lyrica in PDN. Another protocol requiring drug withdrawal is the crossover design. This study on pre-diabetic neuropathy , again funded by Pfizer, shows a pain spike lasting just 1 week upon switching from drug to placebo. 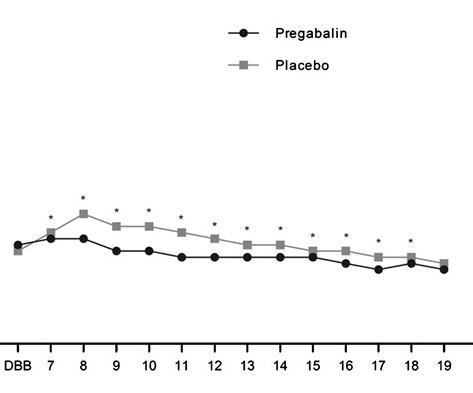 Another PDN crossover study is intriguing – worse withdrawals were suffered going from placebo onto pregabalin in the first week, altho’ actual withdrawals from the drug lasted 3 weeks. Again, the outcome was of a nearly worthless drug, but it’d seem that the fear of losing relief from pain (even if just an imaginary benefit) caused hurtful anguish. An independent review aggregated 15 trials up until Mar ’16 and concluded …”an overall small effect size with significant heterogeneity in the findings. Reporting bias was a particular concern, due to the high number of unpublished studies.” The 5 TGA examples chosen in their approval decision were an obvious cherrypick of the best results from the picture, being Refs: 17, 18, 19, 21, and 22. It seems that the benefit is arguably small, and data on withdrawals is limited. A recent review on Lyrica’s abuse potential coincides with transfer to Class C schedule in the UK underway, informed by little more than frequent discovery in prisons. Public forums are informative: this group, including recreational users, has a couple of hundred user comments… http://www.bluelight.org/vb/threads/531159-Lyrica-Withdrawal/page8 ** Surprisingly, a ‘comprehensive’ report in Oct ’17 came up with only 4 reported cases of withdrawal symptoms ever, where usage had been within therapeutic guidelines. The gulf of understanding between medicine and its recipients widens. Impressive commentary from the Trump-appointed FDA head on their concern with Lyrica notes that monitoring Bluelight is a gauge of potential for abuse. * Cory apologized, but whether he was ‘sincerely’ sorry is questionable (Confidence Interval bounds not given): “I am significantly apologetic”. His resignation isn’t mentioned on the faculty page, and vice-dean MacQueen accepted his declared failure to oversee his 9 instances of data manipulation. She consults to Pfizer. Scott Reuben went to jail for fraud in 21 papers, which must exceed the threshold of acceptable levels of mistakes. 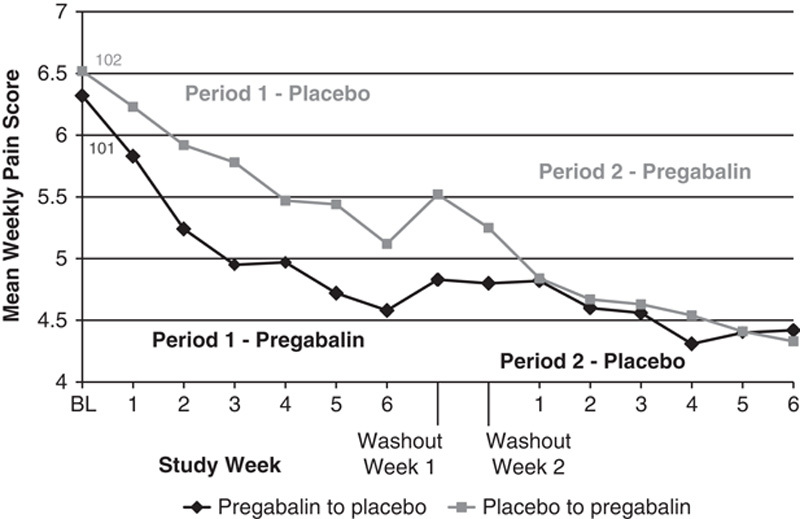 Colleagues Buvanendran and Kroin on Reuben’s retracted pregabalin study went on to publish a favourable study on pregabalin. Paid for by Pfizer. However it doesn’t taint the evidence base, oh no, no, no. ** Bluelight is dedicated to drug harm reduction, and is named after the flame of crystal meth. Once upon a time, psychs drew a distinction between depression originating from within (endogenous) or that which arose due to circumstances (reactive). The former was treated by meds, but the market for anti-depressants has grown as the two-type concept has fallen out of favour. Pills manipulating neurotransmitter levels are a simple solution with scrip from your GP, one that doesn’t require psych expertise. The American Psychiatric Association aren’t blameless, since the criteria for mental illnesses is loosened with every release of the DSM. That manual has also expanded in order to inform practitioners of the complexity of the complex. But they have lost control in this non-infectious pandemic. 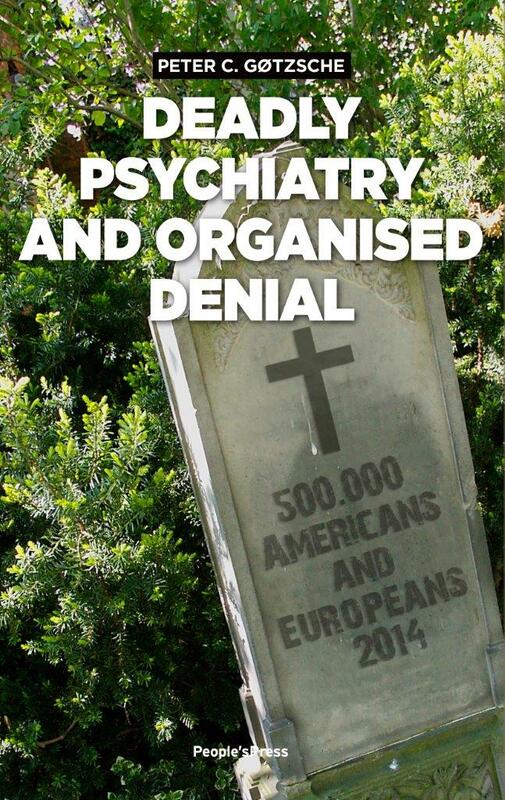 Prof Peter Gotzsche is fanatical in advocating that prescriptions of such meds be reduced 50-fold, but for a less emotive perspective I suggest you follow psychiatrist Professor David Healy, or read his ‘Pharmageddon’. Earlier posts have complained at the fabricated conclusion that chronic pain is manifestation of a mental illness. It was a researcher’s invented report that then conveniently led into a publicly funded trial for anti-depressants in osteoarthritis. It’s to the Royal Aust & NZ College of Psychiatry’s credit that their submission against Medicine Aust code-of-misconduct application to regulatory authority ACCC was the only one to address perversion of research by industry. If they’re to be believed, academics are corrupted. And if Gotzsche is right, you can’t trust Patient Organisations for … “having done absolutely nothing to stop the blatant abuse of patients in industry-sponsored trials“, citing Dr Ben Goldacre’s book ‘Bad Pharma’ of 2012. It’s worse than that, as you’ll find out. Heart Foundation Vic CEO Jennifer Johns has earlier come in for ridicule over statins, echoing her disgraced NSW President’s associations with the refined sugar industry. An Austin hospital cardiologist, in 2010 she funded her colleague David Hare and Baker IDI’s Prof Krum to trial Lexapro as treatment for the depression that their heart failure patients are presumed to suffer, PRO-HEART. Also in this year the manufacturer’s promotion of such off-label usage cost them $USD313m in fines, with civil actions continuing. Such as 03-10395-NMG for wrongful dismissal of sales rep and whistleblower Chris Gobble, who complained to supervisors of “illegal kickbacks (i.e. paying doctors for no other reason than to induce them to prescribe Celexa and Lexapro)”. The marketing budget disclosed in the Confidential plan provided to the US Senate was $35m on speakers fees, and $36m on lunches. In one year. In one country. The drug is also associated with hyponatremia, ie it worsens heart failure risk. None of the team answered this concern, but they were defended by the Heart Foundation’s Deidre Cope: “In regard to its Research Program, the Heart Foundation follows the NHMRC guidelines around disclosure of interest. The research funded by the Heart Foundation undergoes a rigorous peer review process involving assessment by independent, external reviewers. All funding decisions are scrutinised by an external committee to ensure that all aspects of the peer review process are consistent, transparent and ethical.” Affirming that they’re just as utterly corrupt as the NHMRC, as evidenced by Cicuttini and Wluka’s impunity.